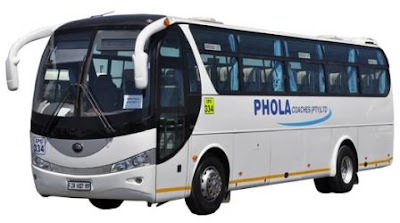 Phola Coaches specialises in safe, cost effective and reliable bus transport and charter services with a proud history dating back to 1983. 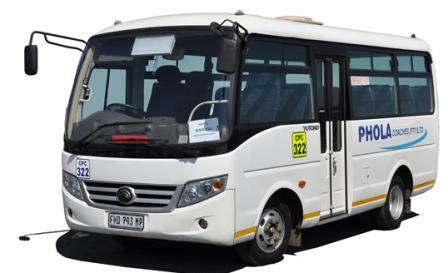 Their head office and main depot is located in eMalahleni (Witbank), Mpumalanga. This comprises an administrative building, workshop area and offices, bus parking area, driver training centre, and wash-bay facilities. Fully equipped satellite depots are situated in Kriel, Ogies, Middelburg and Hendrina. These depots are used for the servicing, re-fuelling and secure parking of our fleet of buses. 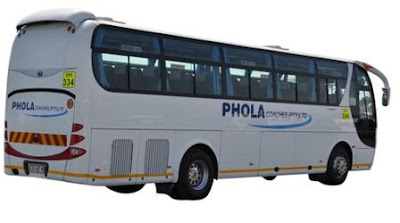 Phola Coaches also supplies passenger transport solutions to the Higher Education sector and currently provides a bus shuttle service to students at the University of Witswatersrand from their Braamfontein depot. Compliance to the highest international technical and aesthetical standards. Live monitoring with automated updates on bus delays and arrival times via mobile apps designed to meet their customers specific requirements. Compliant with the strength of superstructure requirements (roll-over protection), as set by the UN Reg 66 or SANS 1563, with assessment based on a physical rollover test. The rollout of three-point emergency-locking retractor safety belts across their fleet, which are compliant to international and local legal standards. Optimum seat strength and anchorages. Improved seating design in terms of passenger safety and comfort. Upgraded saloon heating and windshield de-misting systems. Additional category seating configurations of 20-22, 35, 45-48 and 60-65 seats - enabling more flexibility with regards to pricing. 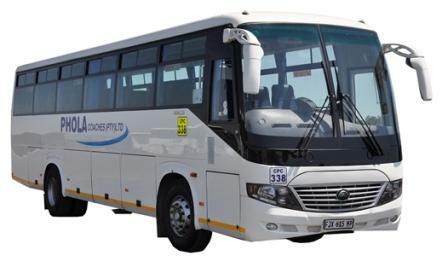 ABS (Anti-lock Braking System) system fitted as standard on all buses. Other features are available, such as on-board DVD monitors, reverse monitors and electronic destination boards. Evidence of compliance to all legal standards, local and international, is readily available. Safety is a core value of Phola Coaches and also the fundamental driver of our management strategy. Their mission is to become the leading bus operator in their field providing mass passenger transport services to clients that are high in quality, professionalism and cost effectiveness. They add value to their clients’ organisations and protect their greatest assets – their people.